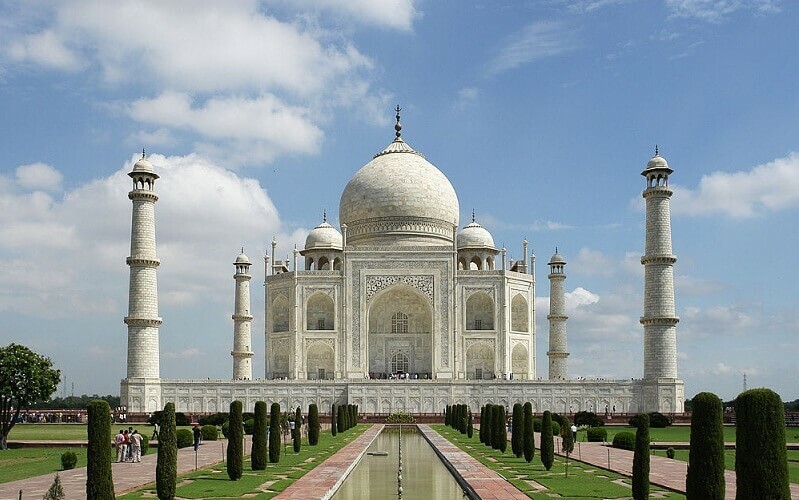 The Taj Mahal of Agra is one of the Seven Wonders of the World. Taj Mahal is an epitome of love which proved that this memory would never fade away. The Mughal Emperor Shah Jahan was in love with his dear wife Mumtaz. During the age of 14 that he met Mumtaz and fell in love with her, Five years later in the year 1612, they got married. Shah Jahan was the son of the Mughal Emperor Jehangir and grandson of Akbar. Mumtaz died while giving birth to her 14th child, she was inseparable companion of Shah Jahan. Shah Jahan built a magnificent monument in the memory of his beloved wife as a tribute to her, which we today know as the "Taj Mahal". It took approximately 22 years to build. It made use of the services of 22,000 laborers and 1,000 elephants. The memorial was built entirely out of white marble, which was brought in from all over India and central Asia. After an expenditure of approximately 32 million rupees, Taj Mahal was finally completed in the year 1653. Agra Fort is also known as the Lal Qila, Fort Rouge and Red Fort of Agra. This Fort is a UNESCO World Heritage site located in Agra, India. Agra Fort was built by Akbar from Red Sandstone in 1654. Agra Fort worked both as a military strategic point as well as the royal residence. Some 1,444,000 builders worked on it for eight years, completing it in 1573. 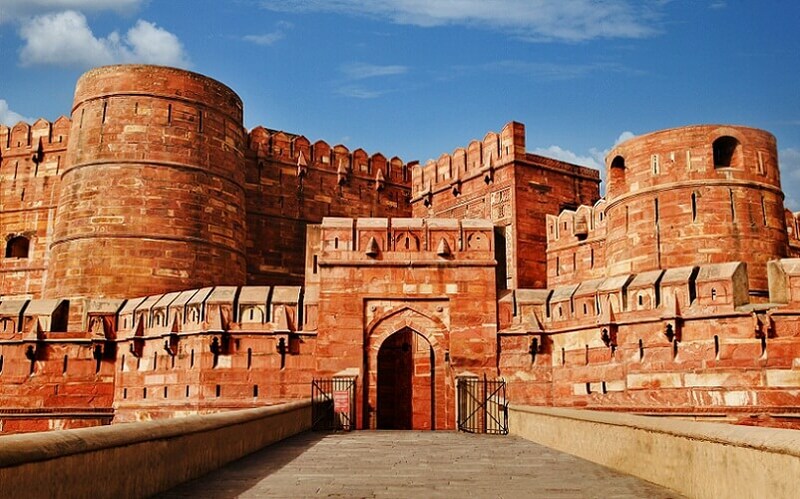 Agra Fort is signified one of the strongest evidence of Mughal strength and strategy. Agra fort has a historical significance of being developed as the spot to safeguard the huge treasure, including “The Kohinoor”, as baoli (step-well). Later it was further gradually developed Mughal Emperor into “Badalgarh”. Yamunotri, which is north of Haridwar in the Himalayas Mountains, is where the holy Yamuna River begins. In Hindu mythology, Yamuna is the daughter of Sun God, Surya, and sister of Yamaraj, the God of Death, hence also known as Yami and according to popular legends; bathing in its sacred waters frees one from the torments of death. The Yamuna is the largest and second largest tributary river of the Ganges. This is the longest and the second largest tributary river of the Ganges, before the merge with Ganga make Triveni Sangam, Allahabad, the site for the Kumbha Mela every twelve years. 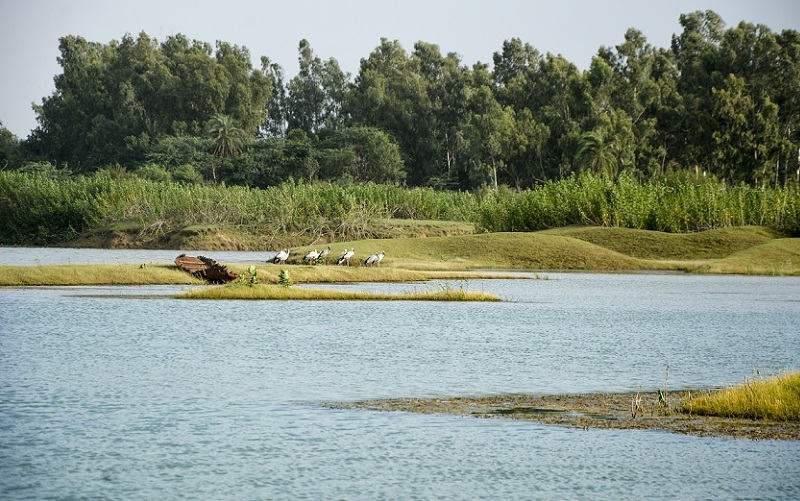 The Yamuna is the longest river in India that does not directly flow to the sea. Yamuna River flows through Vrindavan and Mathura, and was thus closely connected to Lord Krishna's pastimes; this is why it is so sacred. As per Hindu mythology, a bath in this river is said to be one hundred times more purifying than a bath in the Ganges. 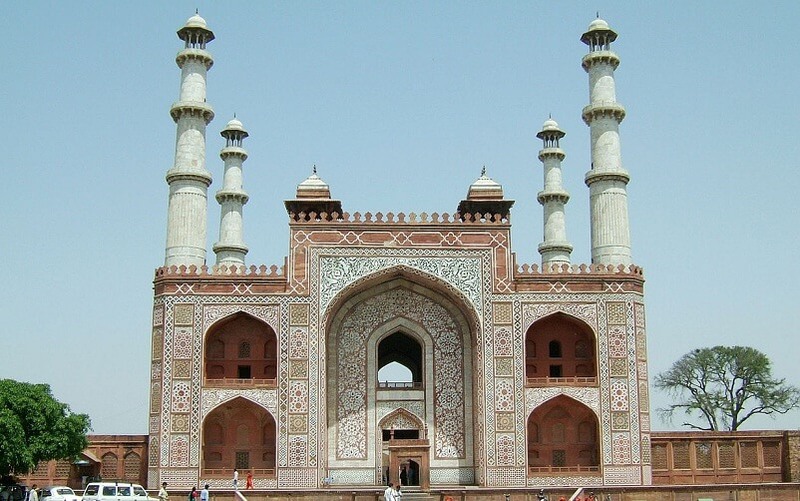 Agra is home to some of the finest examples of Mughal architecture Akbar's tomb is among of them. This is situated in 119 acres of grounds in Sikandra where one of the greatest emperors in the world lies buried. Akbar was the most powerful and able ruler of the Mughal dynasty. He supervised the construction of the tomb himself during his lifetime and the rest of the tomb was completed by his son Jahangir after Akbar's death. Akbar's Tomb is just like the model of the great monarch himself a combination of the positives of different cultures. You can see a style of Mughal architecture through Akbar's Tomb. This is the combination of red sandstone and marble. This is the first tomb in India that is entirely made out of Marble. Itmad-ud-daula has a special place in the chronicles of both history as well as architecture because of this tomb of Mir Ghiyas Beg, a minister in the court of Shah Jahan. The story of Itmad-ud-daula is an inspirational rag to riches saga. It is a smaller version of the Taj Mahal. It is believed that this tomb was the inspiration behind the construction of the Taj Mahal. The tomb of Itimad-ud-Daulah was commissioned by Nur Jehan, daughter of Mirza Ghiyas Beg and wife of Jahangir. Instead of a dome, the tomb has a small rooftop canopy and has squat minarets attached to all four corners of the building. 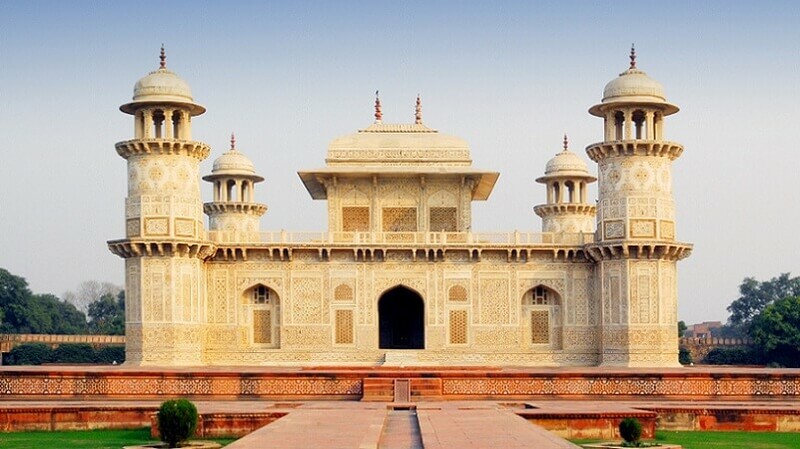 Situated in the middle of the Charbagh style gardens, the tomb was one of the first Mughal buildings in Agra to be made entirely out of marble and is famous for its extravagant inlay work. 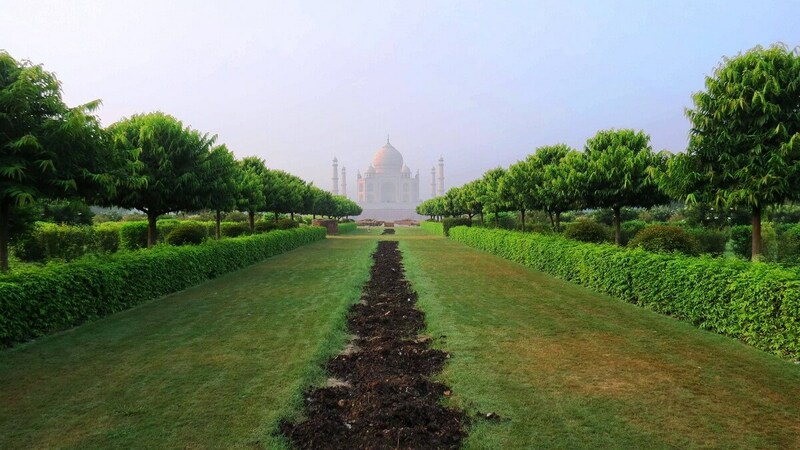 The Mehtab Bagh garden was the last of 11 Mughal-built gardens along the Yamuna opposite the Agra Fort and Taj Mahal. It is mentioned that Mehtab Bagh is built by Emperor Babur. 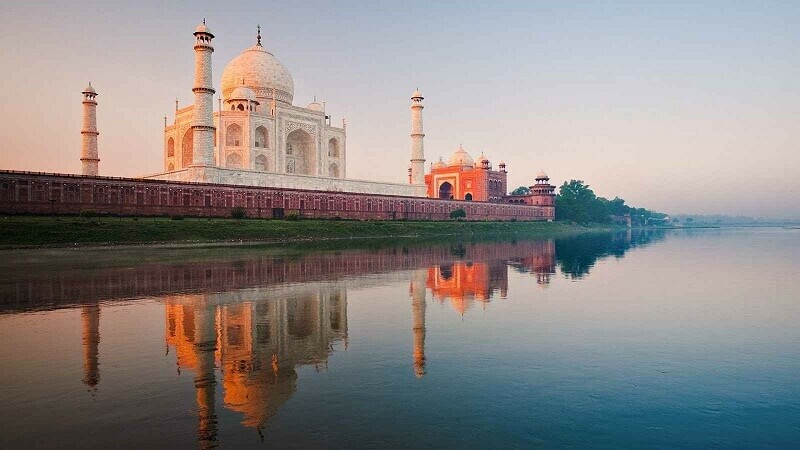 It is also noted that Emperor Shah Jahan had identified a site from the moon light, grass-covered floodplain across the Yamuna River as an ideal location for viewing the Taj Mahal. It was then created as "a moonlit pleasure that why it's called Mehtab Bagh. White plaster walkways, airy pavilions, pools, and fountains were also created as part of the Mehtab Bagh with fruit trees. Agra was the capital of Mughal Empire. Moti Masjid is one of the mosques that were built by Shah Jahan, Moti Means Pearl. The splendid Moti Masjid fully constructed by White marble that gives elegant look. 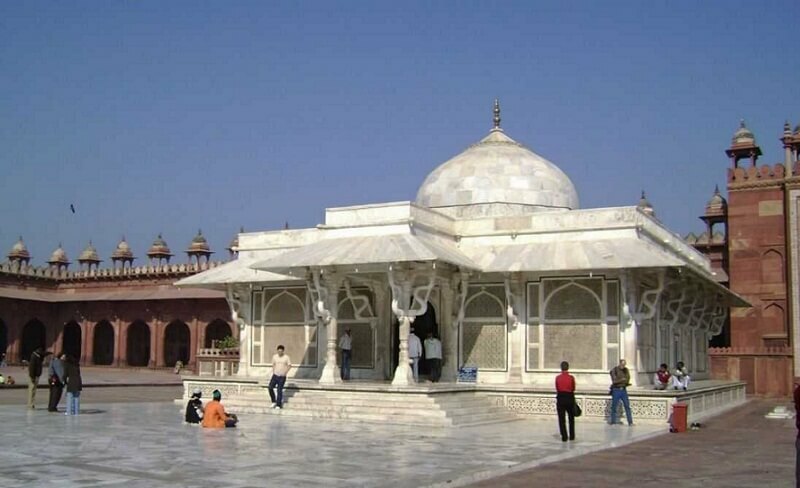 Moti Masjid is situated inside the landscape of Agra fort and in close proximity to the holy river of Yamuna. Moti Masjid built as the worship for a member of the royal court of Mughal emperor Shah Jahan. Moti Masjid is one the most astounding architecture of Mughal Empire.